It's finally here. Alan Wake is the latest game from developers Remedy, who you may know as the creators of Max Payne and the fathers of 'bullet time' which has since become a staple of action games. It has also been in development for a long time; first announced at E3 2005, but purportedly in development since 2001. A prolonged development time in addition to a large amount of hype ensure that the pressure is on for Remedy to deliver. The setting is Bright Falls, a quaint but backwards town in the middle of the picturesque Pacific Northwest of the United States. It is here that washed up writer Alan Wake makes a retreat along with his wife from the hectic big city lifestyle, hoping to find inspiration and break his writer's block. But of course, all is not as it seems, as Bright Falls carries a dark secret. During the day time all is well, but as soon as night falls things start to get unpleasant as it slowly transpires that Wake's writings are coming true. Is Alan Wake going insane, or is the town really being sucked into the abyss by his own fictional creations? Either way, all will be well as long as you stay in well lit surroundings. Should be easy enough, right? 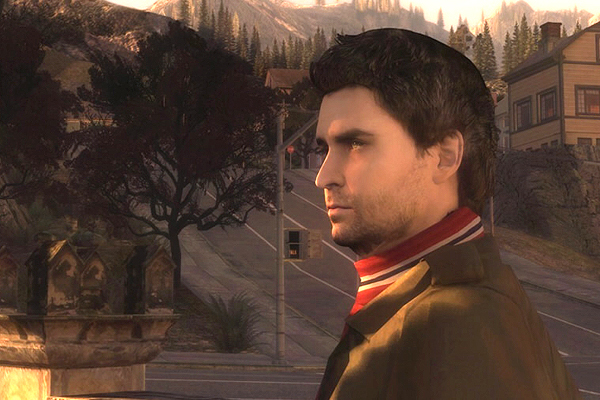 Alan Wake employs an inventive gameplay mechanic based around light and dark. As long as you remain in bright, well lit surroundings nothing can harm you, but as soon as the lights go out, or you venture out into the shadows, dark apparitions known as "the taken" will come for you. Just as you can not be harmed in the light, they can not be defeated in the dark. Instead, the player must use flashlights, flares and other sources of light to dispel their "darkness" so that you can take them out. In addition players have a 'dodge' button at their disposal to avoid enemy attacks. You will need this as the game wears on, with increasingly large groups of enemies assaulting you in often increasingly close quarters, but beware, it is very iffy, requiring delicately precise timing and positioning, something you don't really have the luxury of perfecting in later levels. 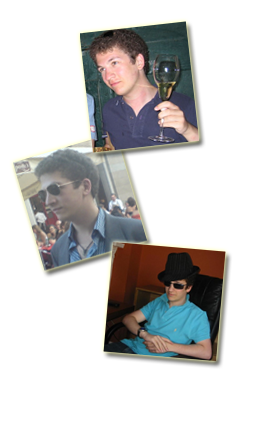 Generally speaking, these mechanics are well tuned, and once you get the hang of it it can be very satisfying to play. However over the course of the several hours it takes to complete the game, a few issues become apparent. For starters, the game often has difficulty deciding whether it wants to be a horror game or an action game. The early levels lean more towards the former, focusing more on atmosphere and chills, with only a small finite number of enemies to defeat, but later levels turn into a veritable onslaught of respawning bad guys. The gameplay mechanics are finely balanced in those early levels, but just too sluggish when it comes to the carnage towards the end. Enemies are very quick and some are quite strong, able to kill you in just two or three blows. So late on in the game it can be very frustrating when multiple enemies keep respawning right next to you in the dark and pouncing on you before you have anything like enough time to react, and it's especially an issue when you consider the fussy nature of the dodge function, the slow transitions between animations, and the often clunky weapons system (slow reload times, does not automatically reload when you switch weapons or pick up ammo for an empty gun, clunky weapons select menu, etc). But the worst culprit is the camera. Even in the best of times the camera can become stuck behind objects and obscure your view, and the game has a very annoying habit of abruptly changing the camera angle into a useless 'cinematic' view when new enemies appear, the thought clearly being to ensure that you are aware of their presence, but the reality being that it slows you down and prevents you from reacting for a number of seconds by which point those enemies have probably converged on your position. But these are minor annoyances, and when the gameplay works it is a lot of fun. The real highlight of the game though, is the atmosphere. The game world has been filled with detail and character, environments look fully and realistically lived in, readable signs are scattered around cabins and nature trails to fill you in on the history of bright falls, and the world is just cohesive and believable, no small feat considering the subject matter. In addition, one can find tvs scattered through the levels which play episodes of "Night Springs", a parody of the Twilight Zone, and radios which broadcast the latest goings on from the one and only radio station in town, featuring music, interviews and opinion, all of which serves to fully flesh out the world and the characters within. The presentation is also of a high standard. The game is divided into six 'episodes', each of which has a tv series-like intro and end credits sequence, complete with a full, and pretty awesome, licensed soundtrack. It's clearly been inspired by the likes of Lost and Twin Peaks, and it works very well indeed. At first I was a bit disappointed with the voice acting and dialogue writing in the early levels, (the opening sequence is a little big cringeworthy) but you'll find that when you get further into the game the quality, thankfully, increases. However, the narrative structure does get a bit frustrating, where everything is lovely and safe during the day time and the writers keep thinking up hackneyed reasons for you to waste away the entire day and only actually play at night. The developers have also given us a load of collectibles in the game to try and add replay value, but to be honest I can't see myself playing all the way through this game again. It was an experience, and I look forward to the upcoming DLC add ons, but I am in no rush to work my way through everything again. Lastly the graphics are great to look at, especially considering how long ago work started on this game. Bright Falls is beautiful, with sweeping vistas and lakes, it actually looks like a lovely place to spend a weekend, you know, if it wasn't for all the evil. A lot of people are going to play this game with all the hype and prolonged development drama in mind, but I try to ignore such things and judge this game purely on its merits. So in the end I enjoyed this game a lot. The gameplay can frustrate in places, but it is mostly fun, and the presentation and attention to detail makes this game a pleasure of an experience.